Summer is the time for picnics, for afternoon patio parties and for getting together with friends for bbq’s! Today’s project is inspired by all of those! 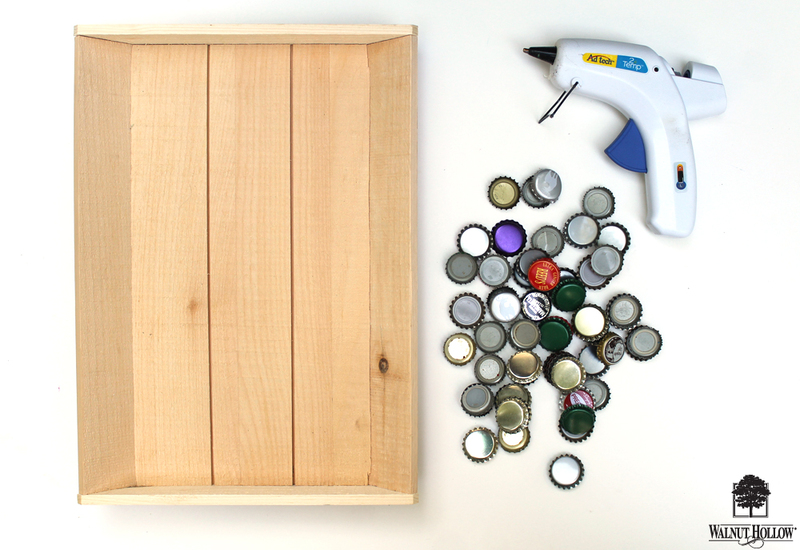 It’s also a recycling project, so you’ll want to gather up all of those beer bottle caps that you’ve been saving! 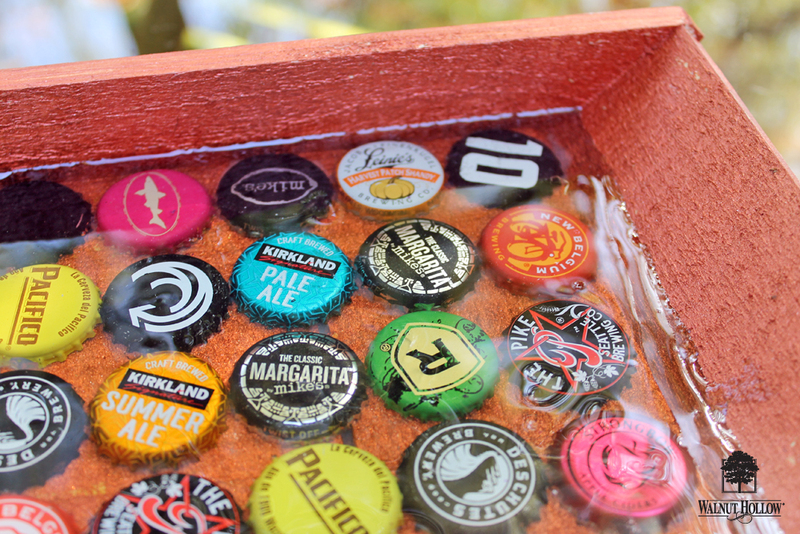 We’ll be combining them with wood, and resin for a cool style that will have all of your friends asking about your unique tray, and you’ll be able to tell them that YOU MADE IT! Let’s start with a coat of paint! 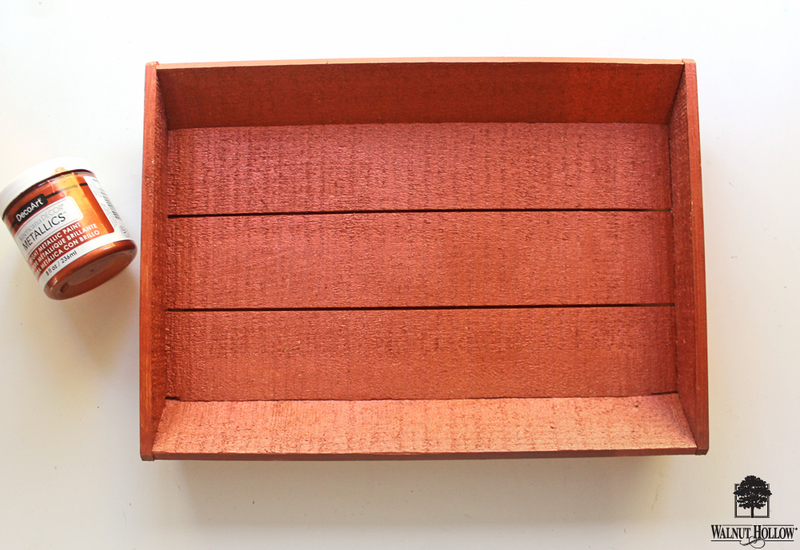 This is optional because the Rustic Angled Tray has a beautiful natural wood to it that would also look amazing not painted, but I loved this copper metallic paint, so I chose to go with it. Let it dry completely. 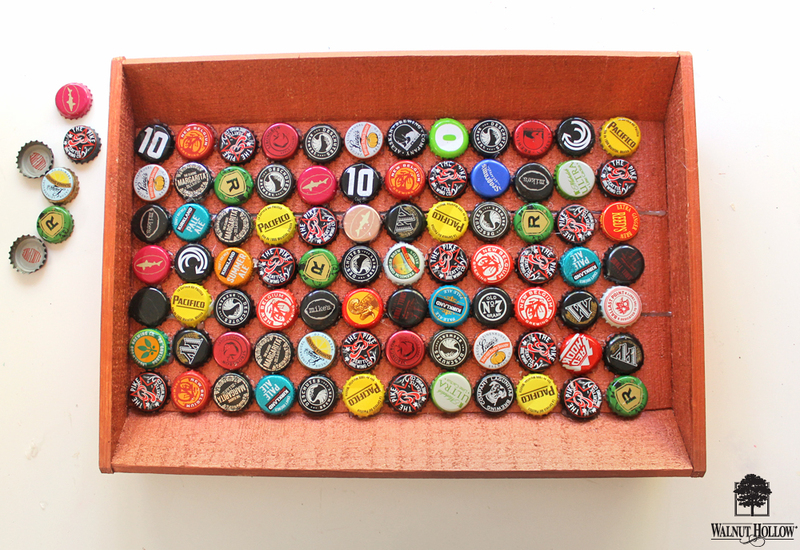 Next arrange your bottle caps into a pattern you like, and then spread them out evenly through the tray, and adhere each one down with hot glue. 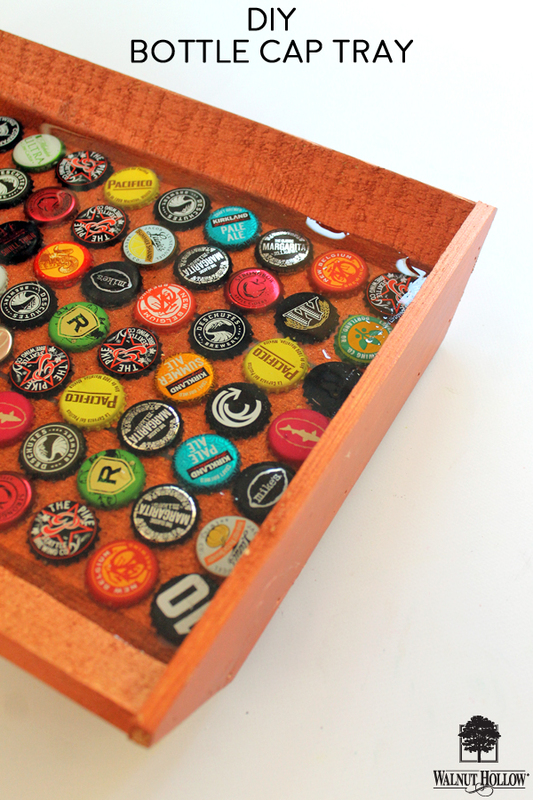 Following the instructions on your resin (each brand is slightly different, so be sure to follow the directions of your type of resin) to mix up a batch of resin. Pour over top of the bottle caps, and place in a warm, level area to cure. I also recommend covering the tray with a cardboard box while it cures, so that no bugs or dust get inside while it’s still wet. I did 2 layers of resin for mine, letting it cure in between each coat. Once it’s fully cured, you’re good to go! 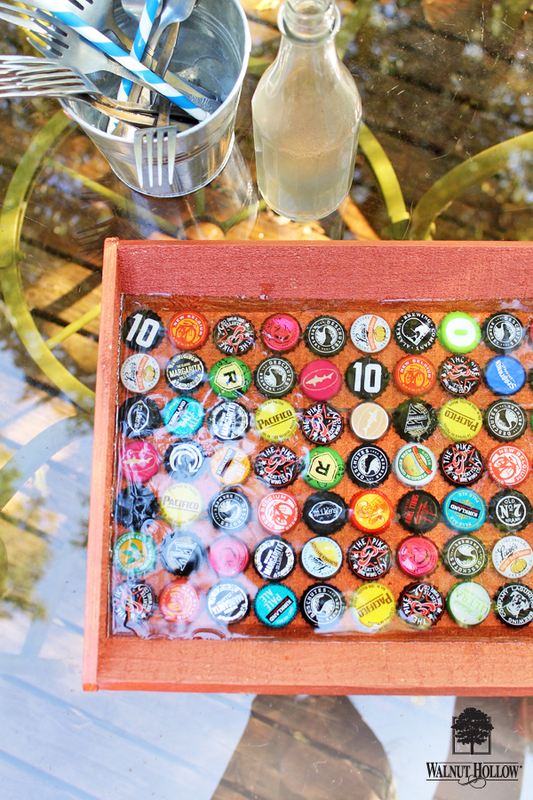 Grab the silverware, the drinks, turn on some music and invite your friends over to enjoy an August afternoon! 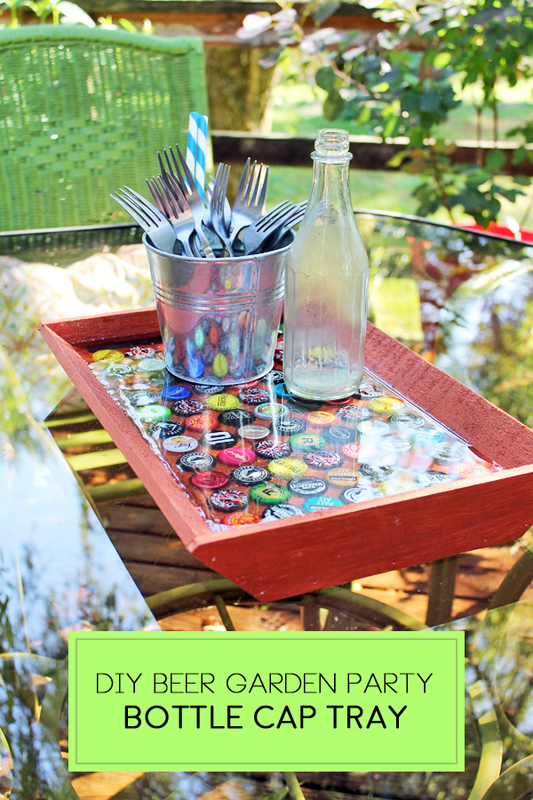 I hope you enjoyed this fun DIY! Don’t forget to check out the Walnut Hollow Instagram and Pinterest for more ideas!